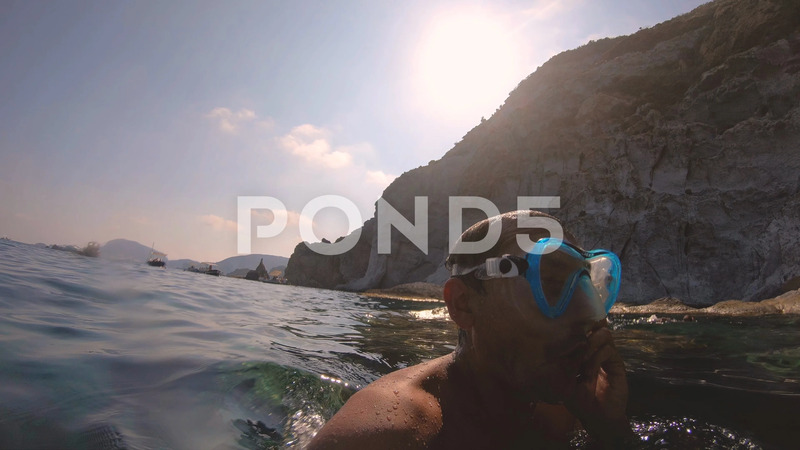 Description: Man wearing sub mask on angry phonecall underwater. Underwater shot into the sea. Ponza island, Italy.